Frack-Land: Labour, fracking and "the desolate north"
Labour, fracking and "the desolate north"
The political news at present is saturated with the popcorn-fest that is the Labour leadership contest. In a recent post I criticised Andy Burhnam, the front-runner at the time. Mr Burnham was upset with the way that fracking licences had apparently been "thrown about like confetti". He was, it seemed, blissfully unaware that the licences he was upset about had actually been awarded in 2008, when Labour were in government and he himself was a cabinet member. Today's post is about more non-joined-up thinking from senior Labour figures. In a for-and-against debate with Energy Secretary Andrea Leadsom in the Yorkshire Post, Shadow Cabinet member Michael Dugher (Shadow Transport Secretary) argues that the Tories see the North of England as "a soft touch" for fracking. He states that "Given that not one of the fracking licences covers anywhere south of Leicester, alarm bells should be ringing here". This statement is not entirely true. 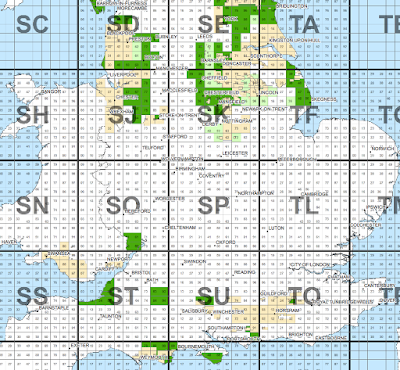 Some of the 14th round licences have been awarded outright already, but many more will be awarded subject to further consultation, because there is overlap between the license areas and special habitats protected by the Conservation of Habitats and Species Regulations (2010). 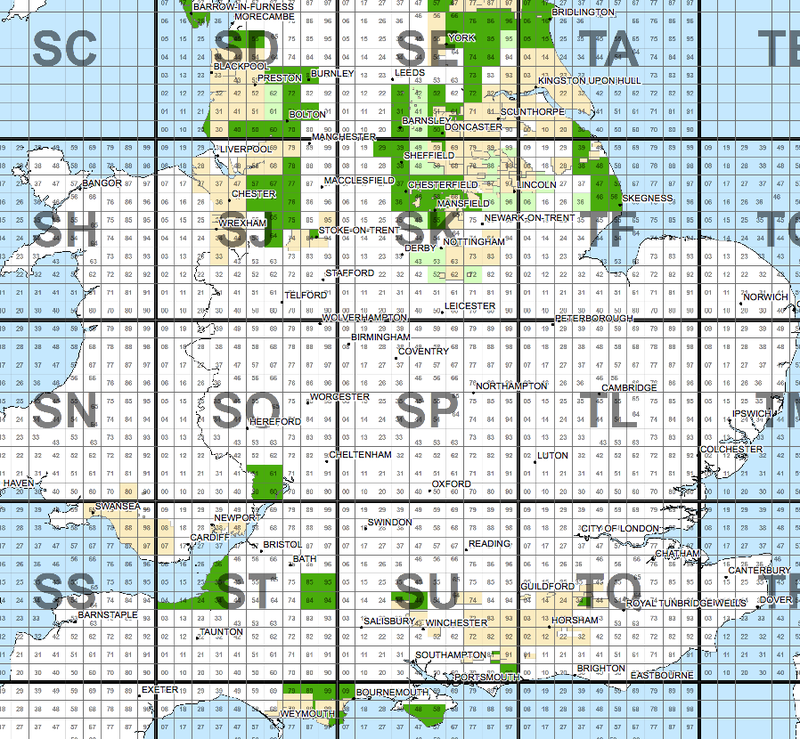 Below is a map showing these licences - light green is licences awarded in the 14th round, dark green is licences to be awarded subject to this consultation, and the light beige is existing licences (where fracking could also be conducted). So there are plenty of places south of Leicester where fracking could be allowed (subject to the usual environmental permits, planning permission etc.). "The Secretary of State must not issue a well consent that is required by an onshore licence for England or Wales unless the well consent imposes a condition which prohibits associated hydraulic fracturing from taking place in land at a depth of less than 1000 metres"
So fracking cannot be used in shale deposits at depths of 1000m. As far as I'm concerned, this is a silly rule - far better to assess the geological conditions at any individual site, perform risk assessments, and make a decision about whether it is or is not safe to conduct a frack at a given depth. Such an assessment would consider whether there are sensitive aquifers present, the depths to which these aquifers extend, whether the geomechanical conditions are such that they are likely to promote significant upward fracture growth, whether the hydrological conditions are such that upward fluid migration would be encouraged, and the presence of low-permeability layers between the shale and aquifers that would prevent such upward fluid migration. However, Labour insisted that we should instead have a blanket 1000m ban, so a 1000m ban is what we have. While there are potential shale deposits in the South of England, many of the most prospective of them are shallower than 1000m depth. Therefore, with the new Infrastructure Bill in place, operators are no longer as interested in them. In short, Mr Dugher is trying to claim that, for political reasons, the Conservatives are giving out licences in the North, but not in the South. In fact, the reality is that, for geological reasons, Mr Dugher and his Labour party colleagues have made sure that fracking operations will be focussed in the North, and essentially issued a de facto ban on fracking in the South. Much like Mr Burnham, without realising it he is criticising his own policy decisions. Burning coal produces a lot of air pollutants and particulate matter that results in significant health issues. The American Lung Association estimates that air pollution from coal-fired power stations is responsible for 13,000 deaths a year. Natural gas is clean-burning, so does not face these issues. Burning coal also leaves behind the solid residue "fly ash", which is troublesome to dispose of, and can cause devastation if spilled. Again, natural gas produces no such waste product. Coal mining is a dangerous process. Cave-ins and explosions have killed and are killing thousands of miners around the world. Working on a gas drilling rig is a far safer occupation. 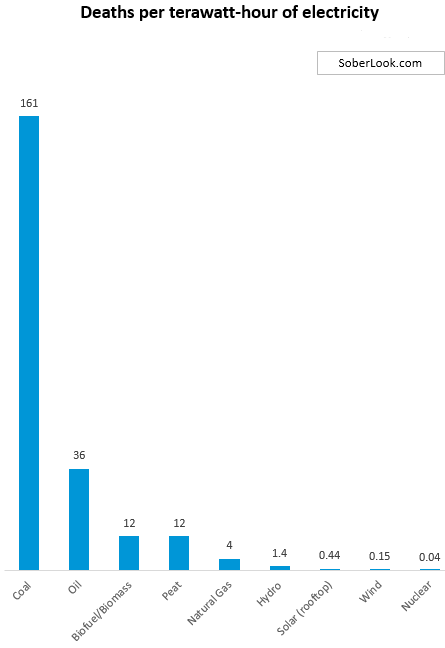 The image below shows the number of deaths per TWh of energy generated for a variety of sources. You can see how poorly coal performs compared to any other energy source. 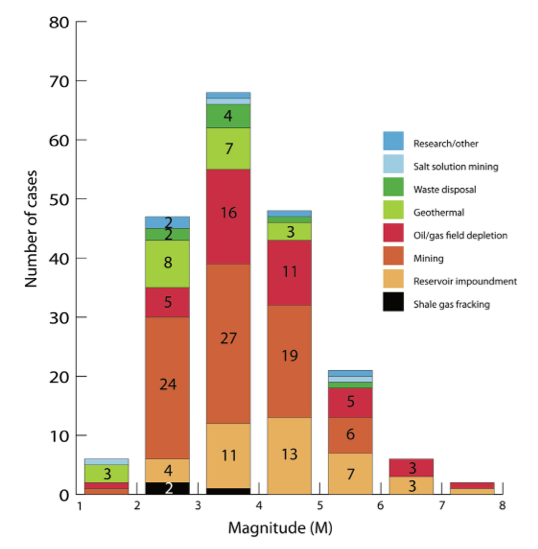 Coal mining can produce substantial amounts of induced seismicity. It also leads to ground subsidence, which is usually more damaging. While shale gas extraction can also cause earthquakes, these are far less common, and shale gas extraction does not cause subsidence. The image below (from this paper) shows the number of quakes, and their magnitudes, induced by different activities. Shale gas is a minor source compared to coal mining. Coal mining leads to Acid Mine Drainage, a common form of water pollution (far more extensive than any water-pollution issues related to shale gas extraction). Given the above, I'd love for Mr Corbyn to explain why and how these contradictions can be resolved such that fracking should be the subject of a ban, but that coal mines should be re-opened? Your usual excellent analysis of the situation! I was not sure of getting a legit loan lender online But when i could not face my Debt any more, my Mother was on hospital bed for surgery that involve huge money and i also needed some money to refinance and get a good home then i have to seeks for Assistance from friends and when there was no hope any more i decide to go online to seek a loan and i find VICTORIA LAWSON Trust Loan Firm (marianlawson@outlook.com) with 2% interest Rate and applied immediately with my details as directed. Within seven Days of my application She wired my loan amount with No hidden charges and i could not take care of my son medical bills, Renew my rent bill and pay off my debt. I will advice every loan seeker to contact VICTORIA LAWSON Trust Company with marianlawson@outlook.com For easy and safe transaction. To complement your 'Deaths per TWh generated' chart, those who feign fear at risk should be aware of the risks they & their families take every time they use electricity. Of whom received a serious injury: 350,000"
Although I tend to agree with your point, it's worth pointing out that PEDLs are for all oil and gas exploration and not limited to shale. It's also worth keeping in mind that the requirements of the infrastructure act only applies to hydraulic fracturing as defined in that act (i.e. 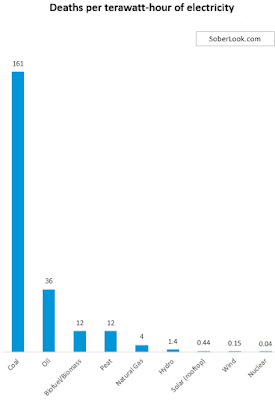 above 1000 cubic metres per frack or a above a total of 10,000 cubic metres). If kept below either/both these limits, the requirements of the act don't apply and therefore some small scale hydraulic fracturing can take place (subject to all the other regulatory requirements of course).